Chinese telecommunications company Huawei Technologies Co. Ltd. is being sued for NIS 80 million (approximately $23.2 million) for breach of contract. The lawsuit was submitted by its Israeli distributor Electra Consumer (1993) Ltd., which announced the move in a Tel Aviv Stock Exchange filing Monday. Founded in 1951 and based in Rishon LeZion, a town in Israel’s central district, Tel Aviv-traded Electra is a subsidiary of Tel Aviv-based Elco Holdings and Investments Ltd., which deals in real estate, and consumer electronics. In the third quarter of the fiscal year 2017, Electra reported revenues of NIS 2.2 billion (approximately $640 million). In 2016, Electra and Huawei finalized an exclusive five-year distribution deal for 2017-2022. The deal positioned Electra as the sole distributor of Huawei’s cell phones, tablets and accessories in Israel and the Palestinian Authority. In a February filling to the Tel Aviv Stock Exchange, Electra reported a disagreement with Huawei concerning its sales goals for 2017. According to the filling, Huawei claimed Electra failed to reach its $60 million goal, and announced its intention to cancel the distribution deal as early as March 2018. Electra responded by declaring that Huawei failed to uphold its commitment to maintain a competitive price and assure a minimal gross profit for Electra. In its court filing, the distributor claimed it has invested NIS 139 million (approximately $40.4 million) in the distribution of Huawei products, and was expecting an 8% gross profit, but has instead racked up losses amounting to about NIS 8 million (approximately $2.3 million) in the first nine months of 2017. Electra also filed for a temporary injunction to prevent Huawei from using any privileged information it was exposed to as part of the collaboration between the two companies. In its court filings, Electra claimed Huawei betrayed its confidence and is attempting to use confidential information and contacts, provided by Electra as part of the partnership, to take over the Israeli and Palestinian market, either directly or through an agreement with another company. 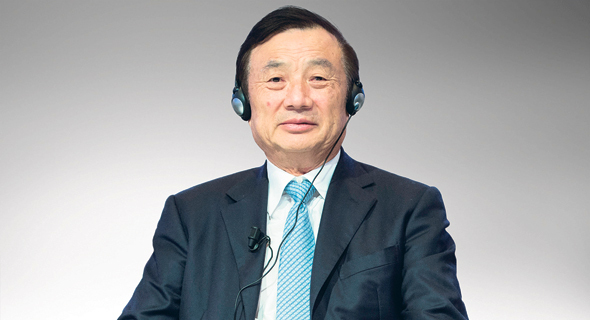 Founded in 1987, Shenzhen-traded Huawei is the world’s third-largest smartphone brand by volume of sales, following Samsung Electronics Co. and Apple Inc. In its annual report for 2016, filed March 2017, Huawei reported revenues of $75.1 billion and around 180,000 employees.